The Quinn duvet set from Eleanor James has a simple design. 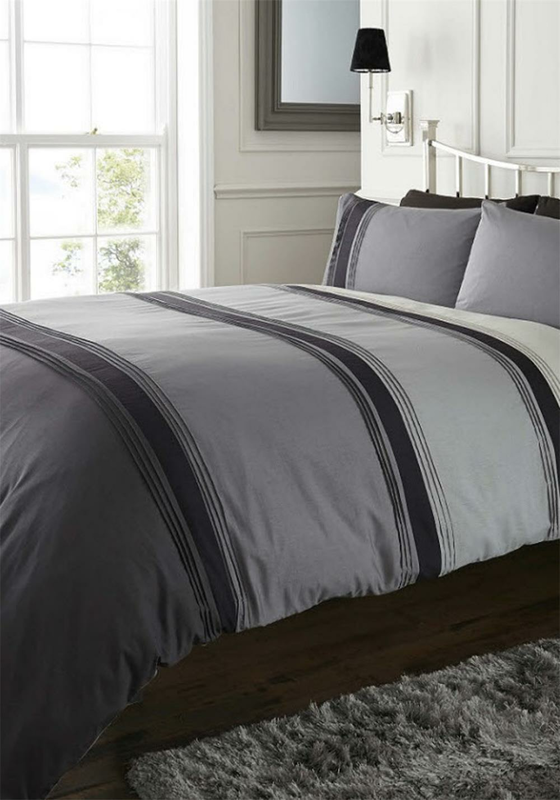 This duvet set features blocks of charcoal colours like grey, black and silver. It comes with matching pillowcase(s). This duvet feels smooth and sumptuously soft and guarantees a good night’s sleep.